South Korean midfielder Ki Sung-yueng has made his first appearance for his new Premier League club while wearing his old number. 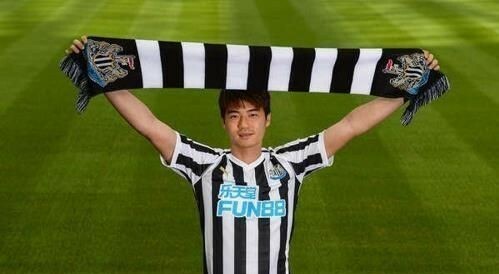 Newcastle United on Monday (local time) posted pictures of Ki in his familiar No. 4, in training with his new teammates. Ki signed a two-year deal with Newcastle on June 29, after a six-year stint with Swansea City. Ki wore No. 4 with his former club, too. Ki and Newcastle are preparing for their second preseason match against Hull City on Tuesday. Reports said Ki, who was banged up while representing South Korea at the FIFA World Cup last month in Russia, joined training a week earlier than expected. Swansea City were relegated to the second-tier EFL Championship following their 18th-place finish among 20 Premier League clubs last season. Newcastle finished in 10th place with 44 points. Ki began his professional career with FC Seoul in the K League and moved to Celtic in the Scottish Premier League during the winter of the 2009-2010 season. He spent two and a half seasons there and signed with Swansea City in August 2012. Ki also spent one season with Sunderland on loan, helping them avoid relegation in the 2013-2014 season before returning to Swansea City. A long-time captain for South Korea, Ki has won 104 caps for the country -- the 10th most of any South Korean player -- and has competed at three FIFA World Cups. After missing South Korea's 2-0 victory over Germany in Group F finale with a leg injury, Ki hinted at retiring from international play.